Arsenal have had a fairly average season so far if you look at it from the eyes of their supporters. Whilst they remain in a respectable position up the table the fans will certainly be asking questions of Wenger if he doesn’t create a serious title contention soon. After breaking their cup drought and winning two FA Cups surely it’s time for Arsenal to reclaim the Premier League again? Especially with how open the Premier League now is. If Wenger is to make this much needed title bid, how could he bolster the squad to do so? 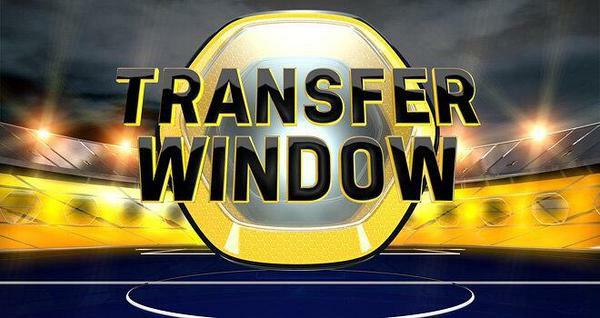 You can check football betting offers to see how likely these transfers will be realised in the next transfer window. Since the days of Patrick Viera Arsenal have notably missed an influential game changing presence in midfield. By this, I mean someone who can pick up the players when they are in a precarious situation and bring the best out of the team. Arsenal have some solid technical players in midfield however they do miss a physical presence that can strike fear into the opposition. Wenger recently came out and told the press that he tried to sign N’Golo Kante, however he failed. This signing may have changed the game for Arsenal but now they’ll need to look elsewhere as he continues to impress at his new club Chelsea. Arsenal, or Wenger, loves young talent and young Portuguese midfielder Ruben Neves looks like a sure bet to become a world class midfielder in the future. Defensive midfielders are hard to come by however Ruben shows a lot of promise when it comes to his hard-working and hard-tackling approach. This presence in midfield could help bolster Arsenals title chances. However, the midfielder would undoubtedly come at a huge price and Arsene may have break some club transfer records to acquire his signature. For a while Arsenal have been known as a team that likes to dominate possession and play the ball around the box however their defensive frailties have shown time and time again. They’ve never really replaced Sol Campbell in terms of a world-class centre back that can lead the defence effectively as he did. Wenger may have to spend big to fill this hole – there’s a shortage of world class centre backs at the moment. Whilst Mustafi looks like a promising signing players like Mertesacker and Gabriel do not have the consistency to cut it at the top level. Mertesacker is only getting older and slower. Wenger will have to look abroad if he wants to secure a world class centre back. Leonardo Bonucci of Juventus is dubbed as one of the world’s best however he recently turned down a move to Manchester City and he would come with a hefty price tag. Players like Boateng and Varane who are some of the youngest world class talents will have to be prized away from Munich and Madrid to London which is very unlikely. Perhaps someone like Diego Godin would be a far more realistic target however at the age of 30 he’s not exactly a long term signing. If Wenger decides to look down the youth route again then Jonathan Tah of Bayern Leverkusen, a highly rated German prospect may be the answer to Arsenals defensive future. Is Giroud’s Gunners career nearing the end?